Not long ago Hijab was only popular among the orthodox class of the Muslim world. 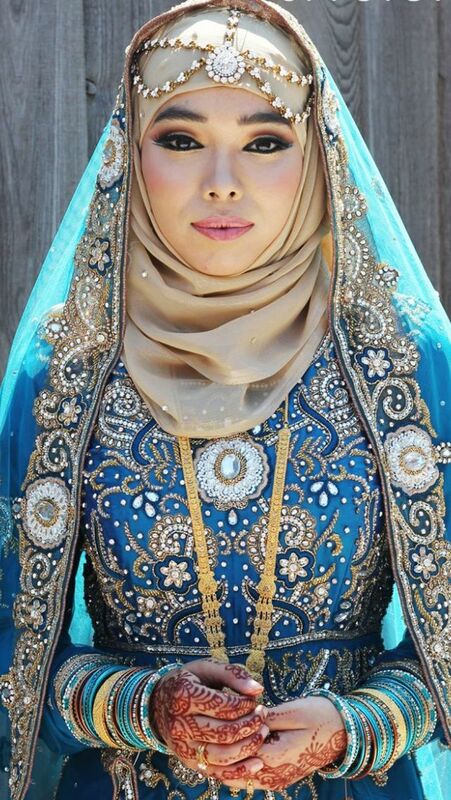 It has always been considered as the emblem of Muslim women’s righteousness and piousness. 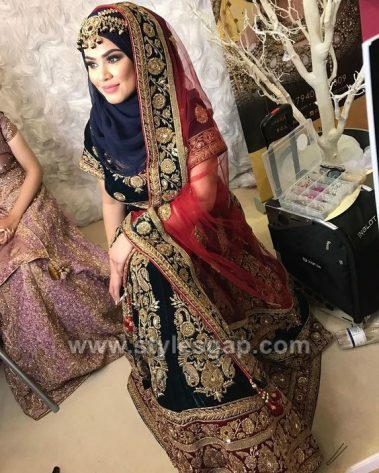 But now it is getting equally popular among all and became a trend not only in Middle Eastern Muslim countries but also in other parts of the world including subcontinent. 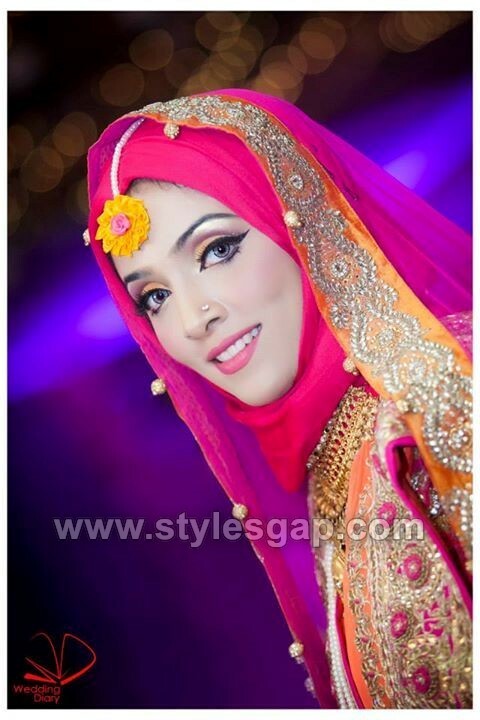 Gone are the days when people used to think that Hijab has nothing to do with fashion. 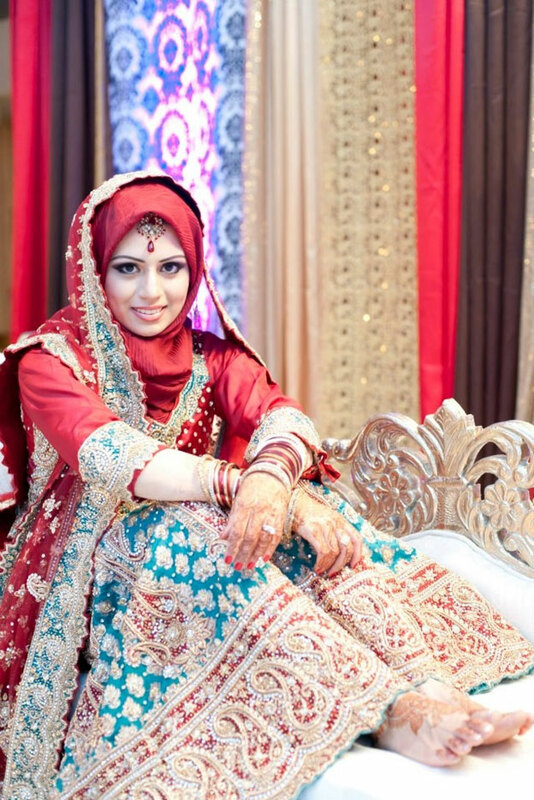 The contemporary fashion trends have brought many styles to it. 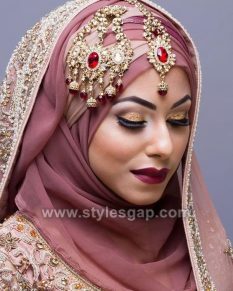 Now plenty of the Muslim women takes pride in carrying hijab as a part of their formal and casual apparels. 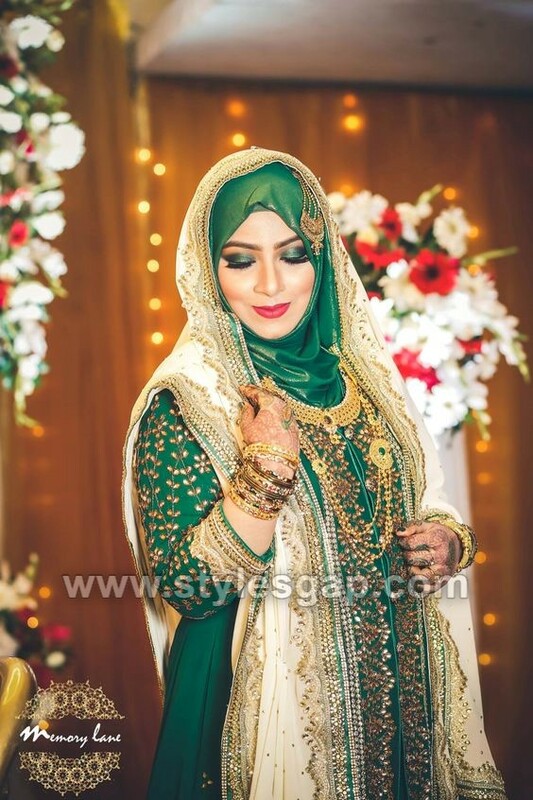 Here we are sharing the Latest Bridal Hijab Styles Dresses Designs Collection. 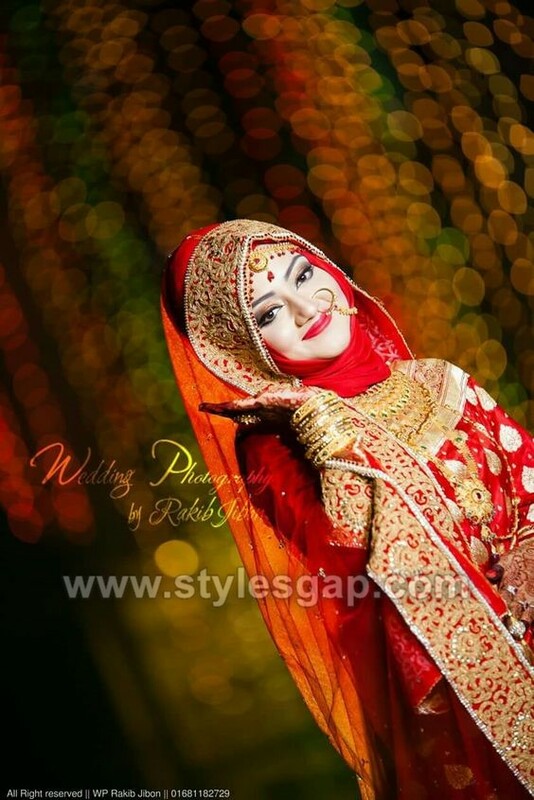 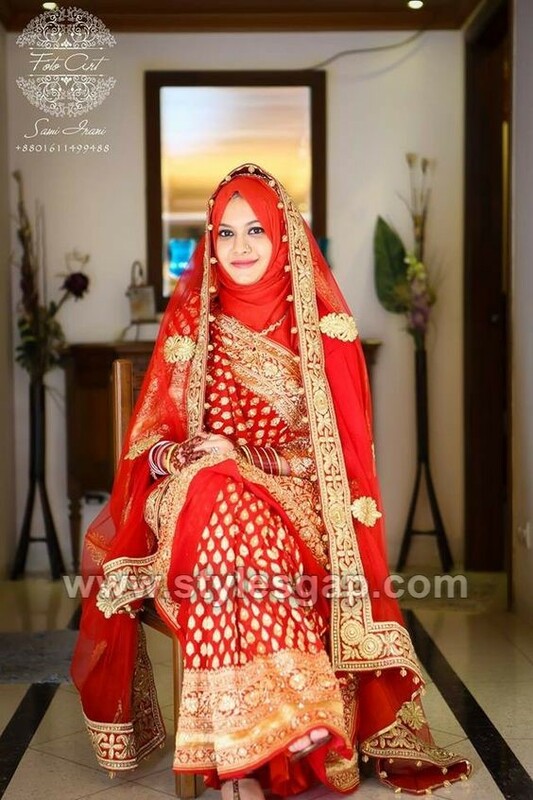 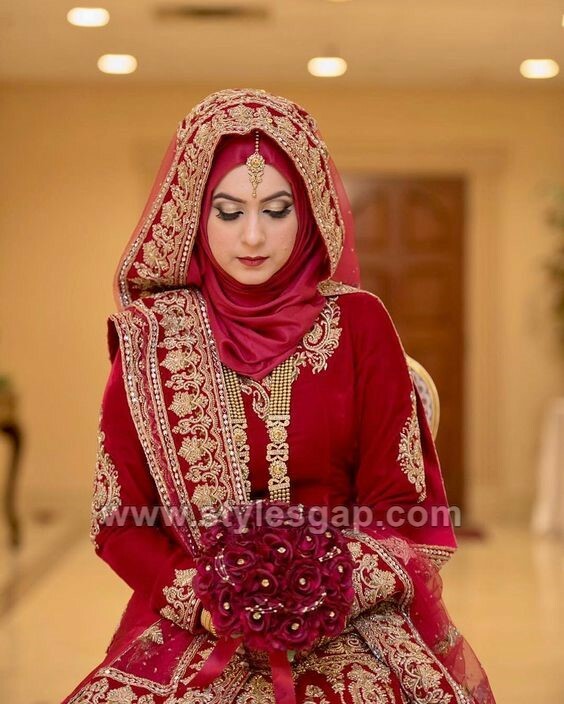 Hijab Bridal dresses have twisted the whole idea of traditional wedding dresses into a new outlook. 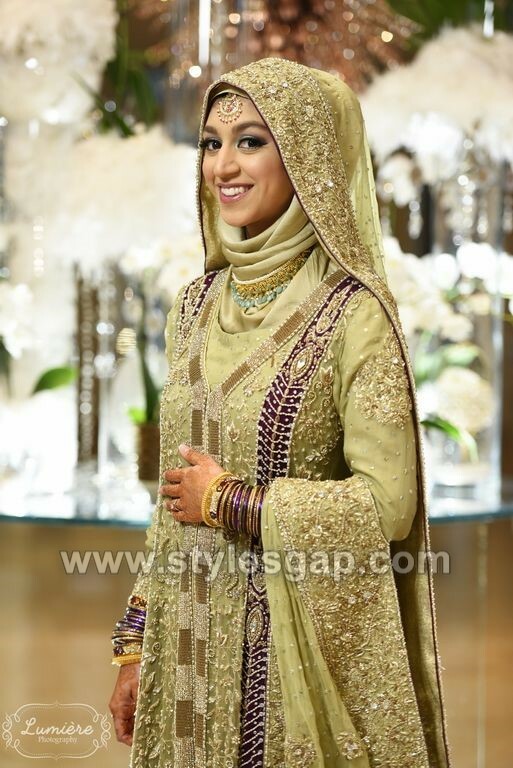 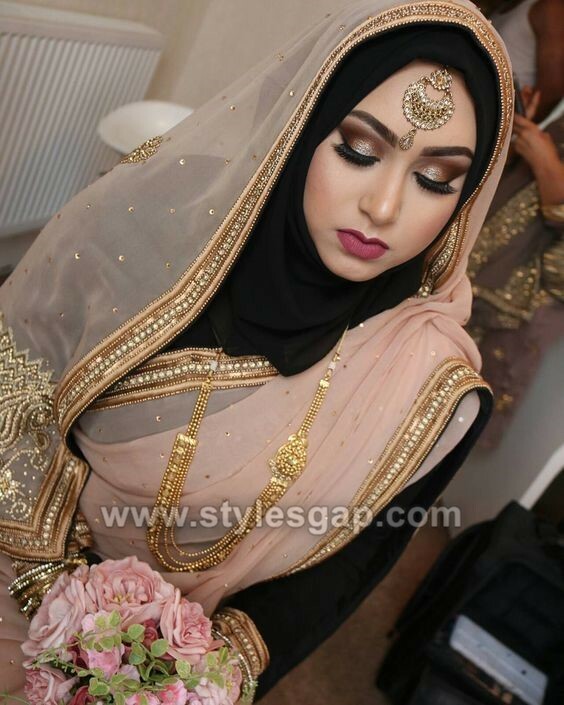 Fancy beautiful hijabs seem to augment the elegance of the bridal dresses. 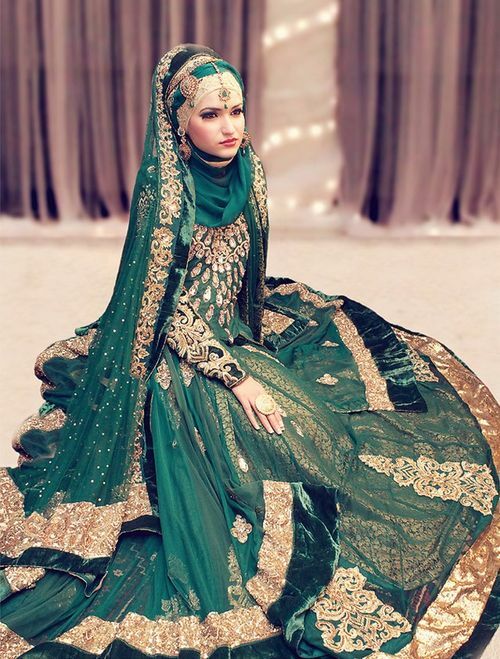 This symbol of women’s modesty can be turned out to be glamorous and glitzy. 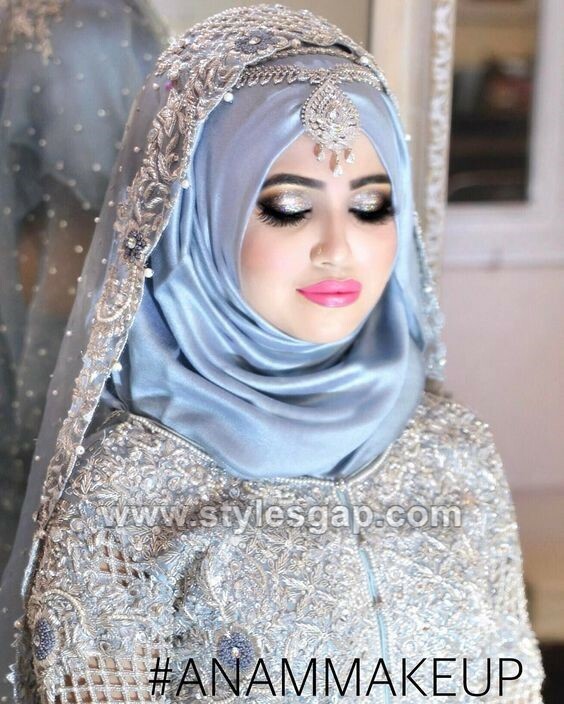 Now every bride has plenty of options to select the fabric, colors, and designs of their bridal hijab. If you are planning to wear a dress that is heavily embroidered then a light colored hijab will compliment it the best. 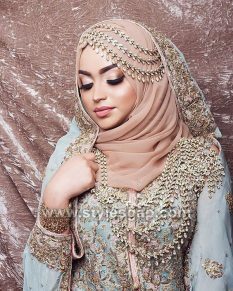 There is a wide range of plain and printed fabrics available in the markets especially for hijabs, all you have to do is to search for the best that could suit your dress and could make you look more alluring. 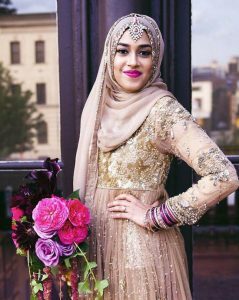 Brooches or some decorative clips can also add sophistication to the hijab for your big day; pretty shiny brooches can enhance your look. 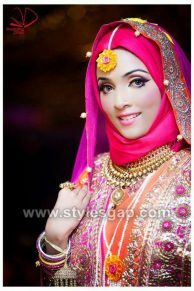 Even you can wear jewels over it, a nice delicate teeka or a fancy matha Patti gives it more of a bridal touch. Dark colors are mostly preferred for the wedding dresses same is the case with hijabs. It makes the bride look more prominent, attractive and ravishing. 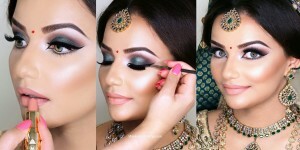 But again, do not stick to one particular trend always go for something unique and try new experiments. 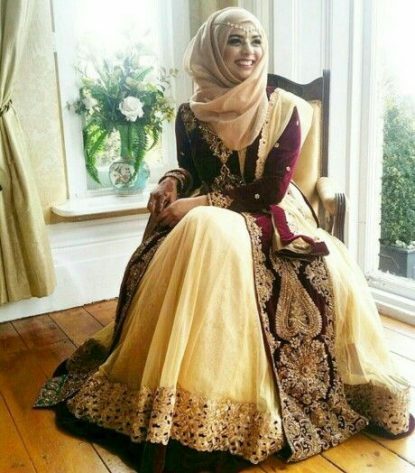 Style it your way, in a way that matches and go with your personality and looks. Selection of the texture of the fabrics for bridal hijab has much more to do with the outcome. There is the great variety of fabrics available in the market. 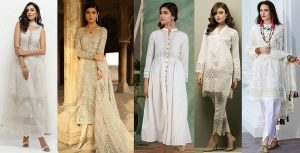 For getting some soft and elegant outlook, you can use chiffon. For bold, shiny and appealing look you can use silk hijabs as well. 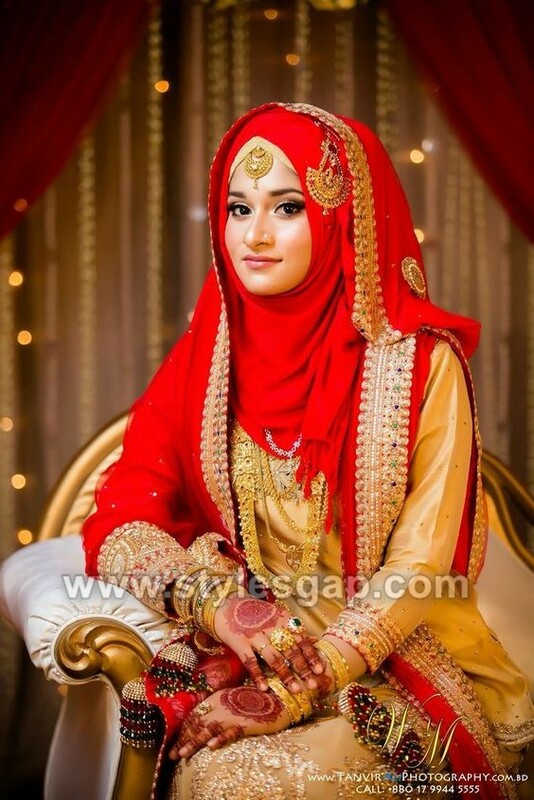 Whereas cotton hijabs are also in trend in some parts of the world. 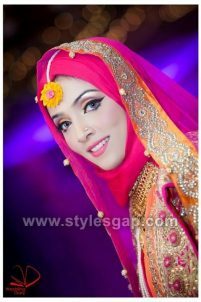 Not only this, but you can also create a perfect combination by pairing different materials into a single hijab. 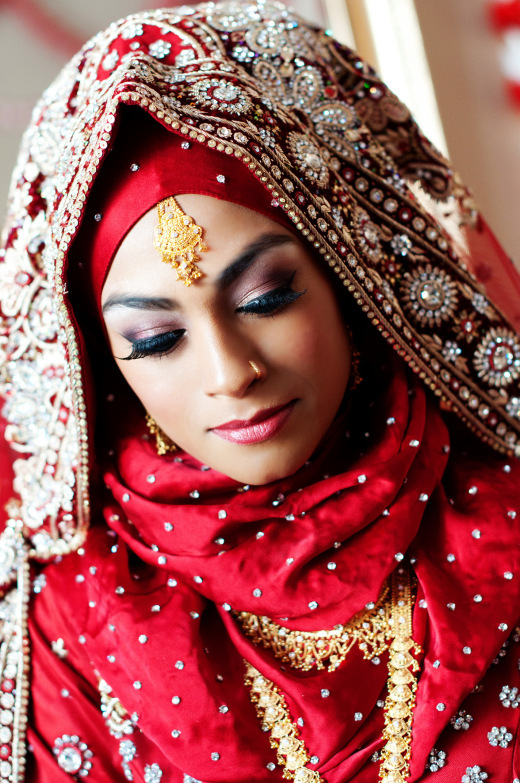 All you has to do is a little research before stepping out for shopping. 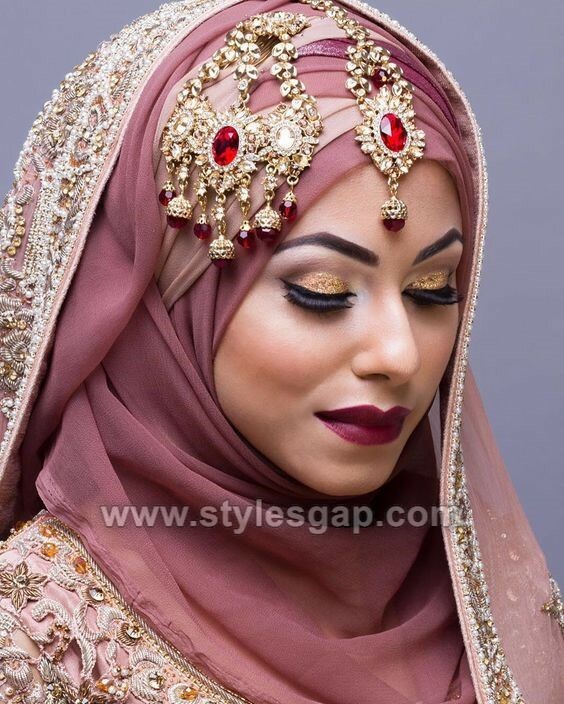 When it comes to hijab, the style of carrying and wearing it, matters the most. As these days, several different ways are out now, what you need to find out what is going to compliment your face shape and your makeover. 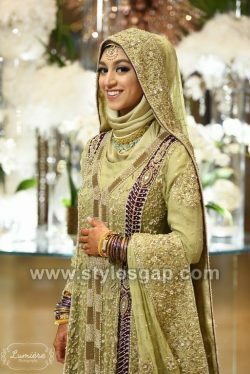 Currently, each country has its different trends as in Saudi Arabia, white elegant hijab bridal dresses are more in common, whereas in Turkey the style seems to be a bit different. 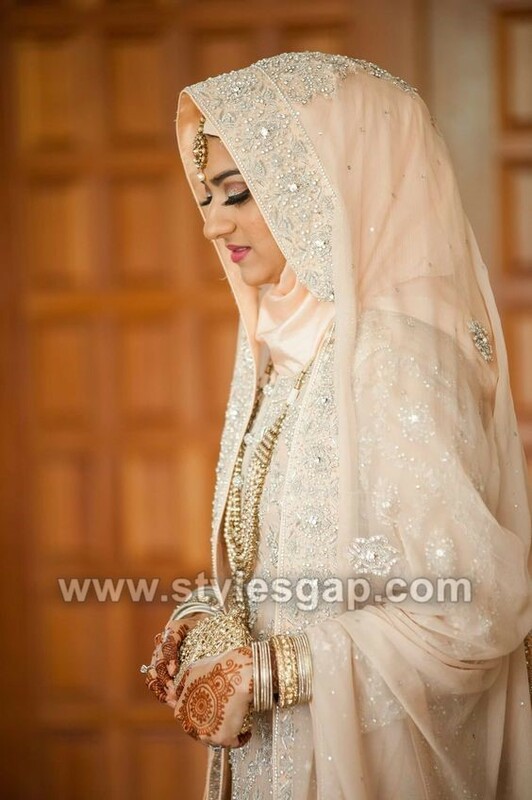 However in sub-continent women prefer colorful and heavily embroidered hijabs along with the bridal dresses. This collection consists of very fancy bridal hijabs along with long gowns. Perhaps the hijaab bridal dresses are a perfect option for the Muslim brides who were ever stuck between style and being covered at the same time. 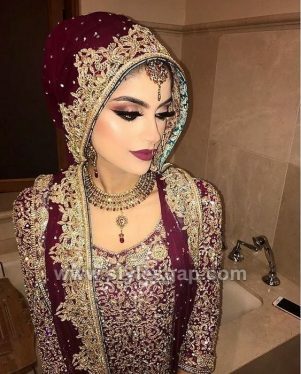 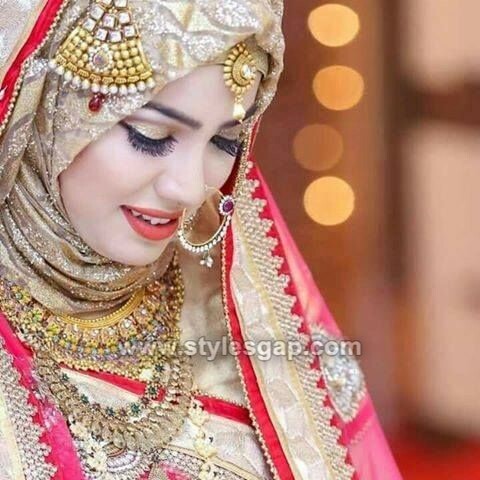 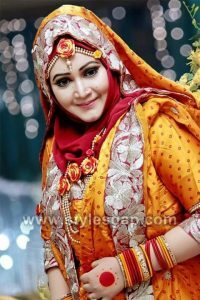 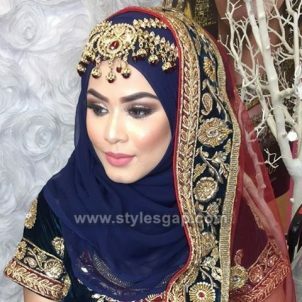 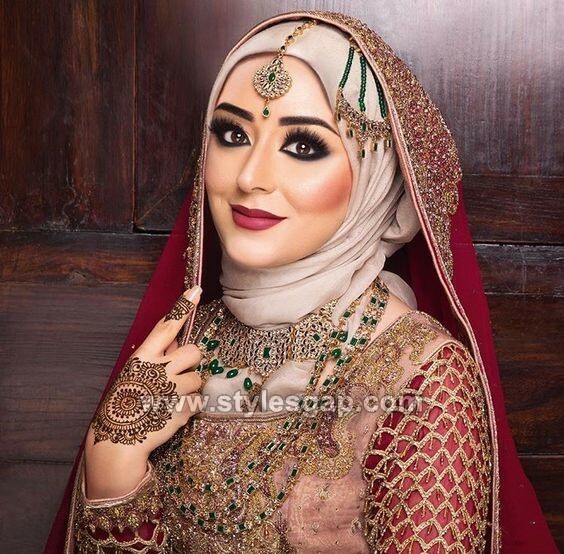 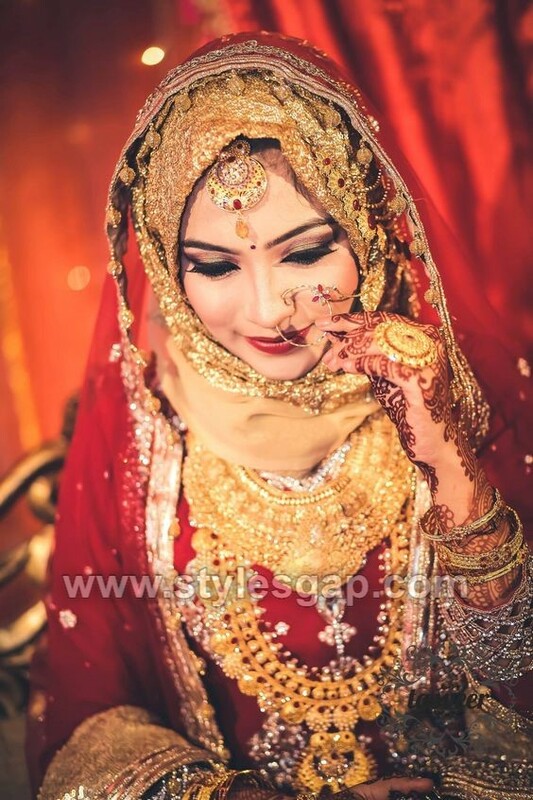 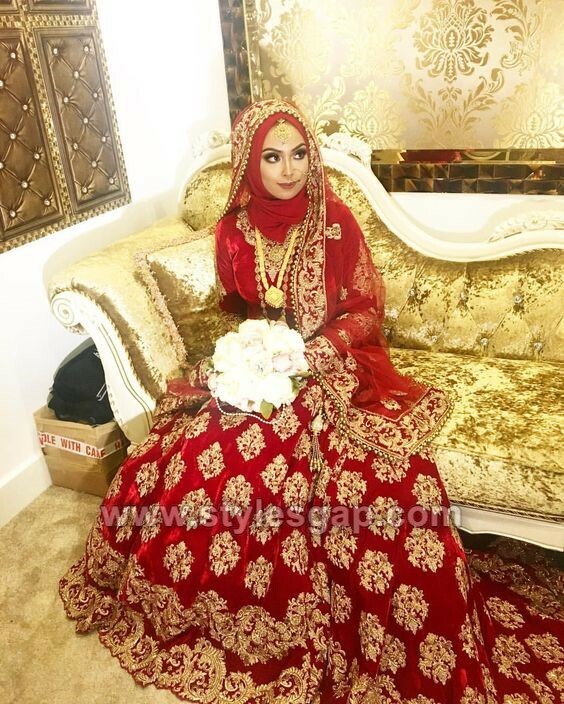 Now they can make their wedding looks as gorgeous and alluring as others with stylish and glamorous hijabs and can also have the satisfaction from the idea of being covered. 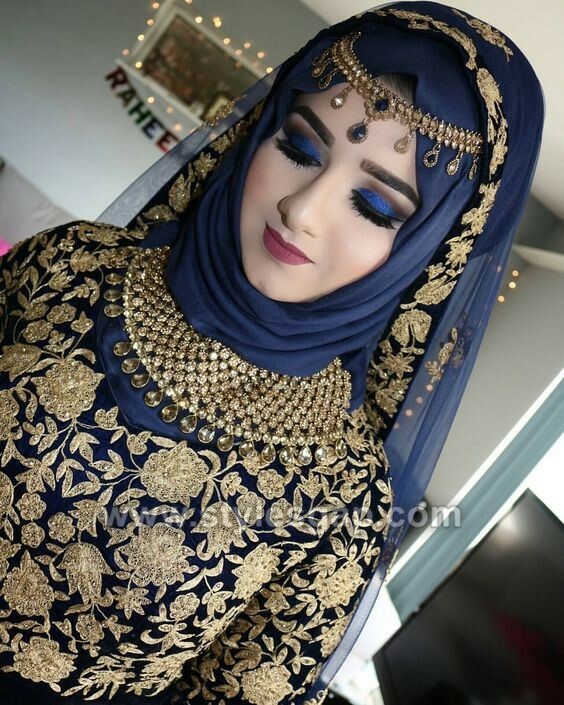 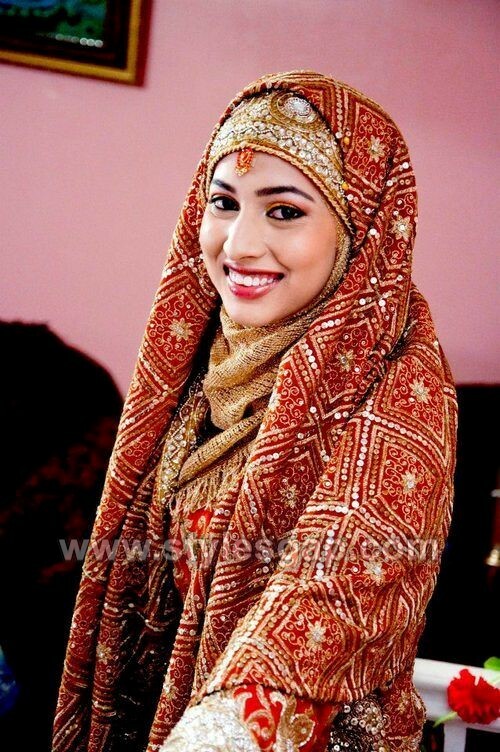 Hope you will love this beautiful Latest Bridal Hijab Styles Dresses Designs Collection.